I have been designing my ideal home for literally as long as I can remember. As a young girl, I daydreamed about living in a rustic log cabin, deep in the woods, or in an old farmhouse, complete with wrap-around porches and rocking chairs. 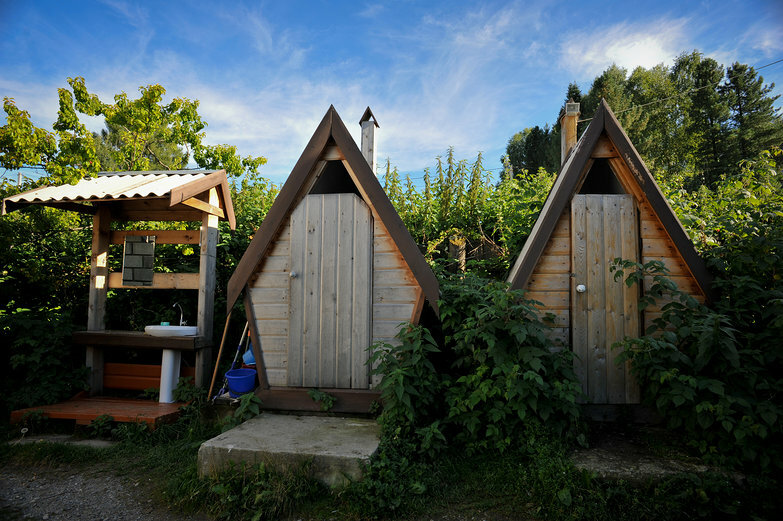 As a teenager, I pined away for a swanky flat in the heart of London, and as an adult, I've wanted everything from a Cornish cob cottage overlooking the sea, to a cozy Mongolian ger in a sweeping landscape of mountains and lakes. In spite of all my dreaming, at 28 years of age, I've never actually had a home of my own. Thus, while I am deeply appreciative of our current rent-free living situation (a giant unending thank you to our parents for letting us stay with them while we pay off our land in Vermont), I am ridiculously excited about the fact that we're on the way towards having a homestead of our own. The knowledge that I will soon be building a little house with the man I love makes me feel like the luckiest woman in the world! Recently, I unearthed a rambling word document from the dark recesses of my computer; I wrote it exactly eight years ago today. It was the summer before my junior year of college and I was working as a nanny in France for practically no pay, preparing to head to London for a semester abroad. The work situation wasn't ideal, but the location was: I remember being enamored with the thick-walled stone house I lived in. Clearly inspired by my surroundings, I wrote in great detail about the house and lifestyle I wanted to have one day. I've decided I love simple, old houses, that are not very big, but have lots of open space on the inside, and have special features like little niches in walls, lots of space in front of windows to put flowers, etc. and funky little windows and doors—like the kind where the top half opens separately from the bottom half. And I like there to be light, but it's okay if it’s not as bright as outside, because I like a little den. I like it because when the weather is grey, it’s cozy inside, and when the weather is sunny, it makes you want to go outside, or if it’s too hot, it’s a nice cool, dark retreat. And I want an Aga, and a nice teapot, and a nice assortment of pottery and funky dishes I would buy on my travels to Morocco, etc. And I will have lots of little buildings surrounding the house—one for my studio, one for drying herbs or doing projects like making salve or maple syrup. And the walls of my house will be very thick so that the house will be warm in winter and cool in the summer, and I will have a huge whopping fire place, and we will be able to roast chestnuts on an open fire. And of course, there will be lots of candles. And everything will be very simple. And I will not accumulate too much stuff. And every morning I will drink tea and be very excited and watch for the mail truck which will bring me lots of letters from friends who say they are coming to visit me. And everyday I will take a walk and take my time, and visit people and marvel at the beauty of the trees and the flowers and the light. And I will grow blackberries and mulberries and nectarines and apricots and apples and peaches and I will make jam. And I will write letters and knit and all my storage will be in baskets or in armoires and things like that. And I’ll have a potters wheel and shelves and kilns and stuff to make pots and dishes. And the kitchen will be gorgeous with pots of basil and other plants in the window sill and dried herbs hanging, and a chalk board to write the menus on, and of course, the Aga, and a lovely tea pot. And a huge scrubbed wooden table that’s to eat on and to prepare food on. And huge bowls of fruit. And chains of garlic and onions and a chili wreath. And fragrant dough rising in a pottery bowl covered with a simple dish towel. And a jar of roses that are from the garden. I will have lots and lots and lots of roses. We will have a beautiful timber frame structure. It feels so good to have part of the house nailed down (or should I say tenon-and-mortised?). 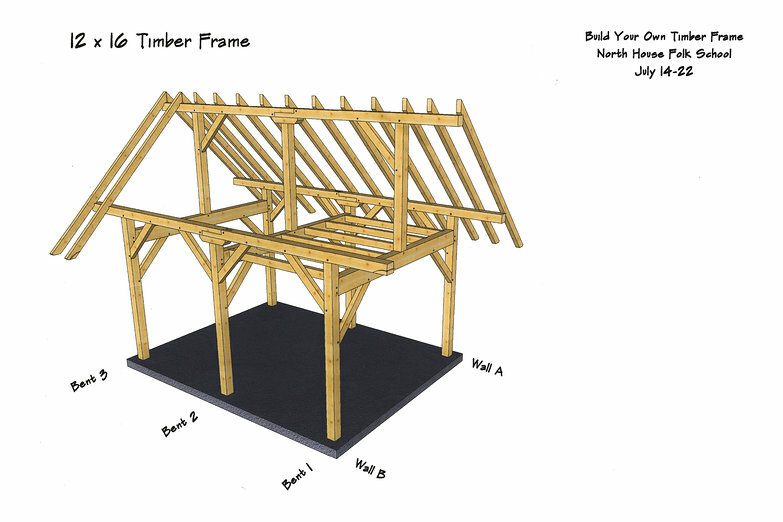 Here it is, the plan for our little 12 x 16 timber frame cottage. We crafted it ourselves using white pine from northern Minnesota. It pleases me to no end that the core of our home will reflect our Midwestern upbringing. I need a good kitchen. 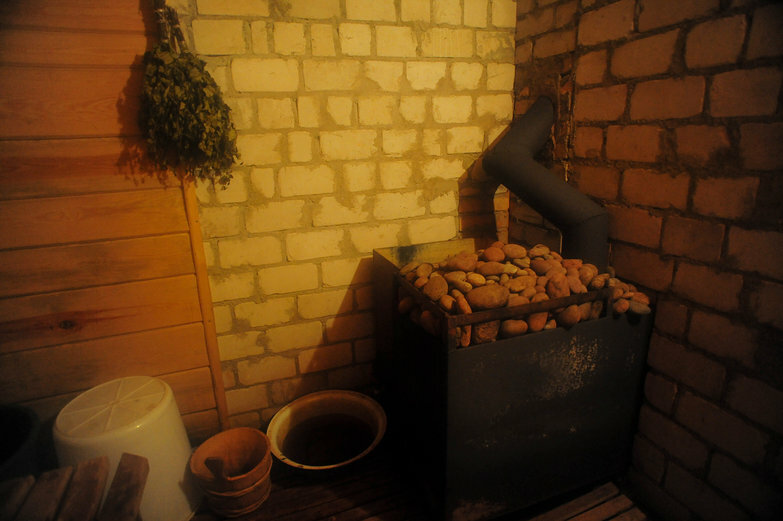 I want a separate bath house. Perhaps I'll change my tune come January, but I don't want to fill any of our modest 12'x16' indoor space with a bathroom. I despise tiny bathrooms, having experienced just about every possible configuration of them in Southeast Asia. Instead, I'd like to build an outhouse, and a separate bath house or sauna. Perhaps all three, eventually. I find many "green" buildings to be overly whimsical in style. I don't want flowery sculptures and ying yangs all over the interior and exterior of my home. Nor do I need giant sculpted archways, or dragon-shaped cob ovens. 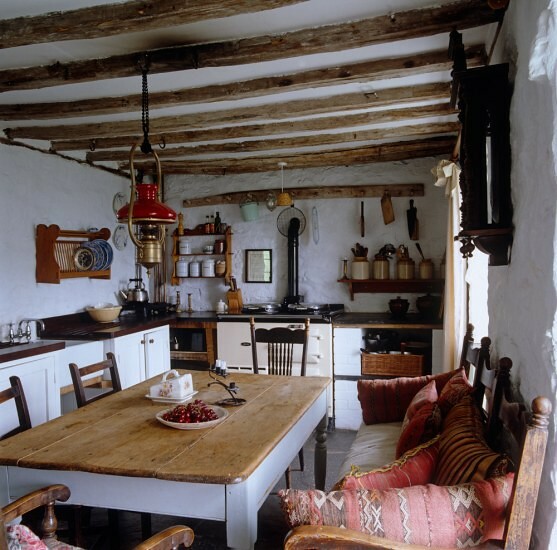 To me, natural materials are exquisitely beautiful on their own; I just want a simple house with white, lime-washed walls, reminiscent of rural England. I want a thatched roof. We'd love to have a living roof, but our frame won't support one (it would be too heavy and our roof pitch is too steep). 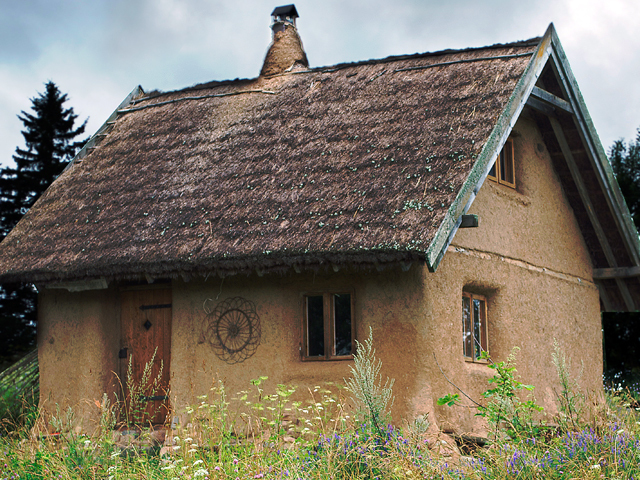 So, we're researching thatch roofing. If that doesn't work out, we'll come up with some other idea, but for the moment, it feels right. If people can successfully make roofs from thatch in Michigan and Maine, I'm fairly sure it'll work out in Vermont as well. As we do more research, and dip our toes into the world of building our own home, I'm sure our plans will continue to change. I can't wait to see how our ideas develop as we move ever closer towards our goal! I know what you mean about wanting a kitchen. When I first started researching tiny homes (specifically the Tumbleweed tiny homes) a few years ago, I decided that my ideal house would have a kitchen as the entire first floor and then a sleeping loft. And that would be it. Cooking your all my food makes such a difference in how I feel about the kitchen. Holy moly, I can't get over how envisioned you were as a 20 year old. I was a slightly broken barely functioning woman-child at that age. How special to have that written down. I'm relieved I don't have anything written down from that period! I love how thoughtful your musings were, and the little details, like receiving letters from friends. Caro - Yes, it will be wonderful to move (and then live our lives) without a mortgage! I had never heard of Edna Walling before you mentioned it-- thanks for the recommendation. I'll definitely check out her gardens! Although I'd give your 20 year old self a hug if I could, I have to say that "slightly broken barely functioning woman-child" is one hell of an awesome sentence! Brilliant. Holy cow, your 20-year-old self was channeling Christopher Alexander! If youre not familiar with his work i highly recommend you read The Timeless Way of Building. It always gives me goosebumps. As did your post. Your home is going to be lovely. Amazing that you knew then what you wanted, and that you are making it happen!